The Kiss is a large painting - 100x120cm, created with oil paints and varnish washes. 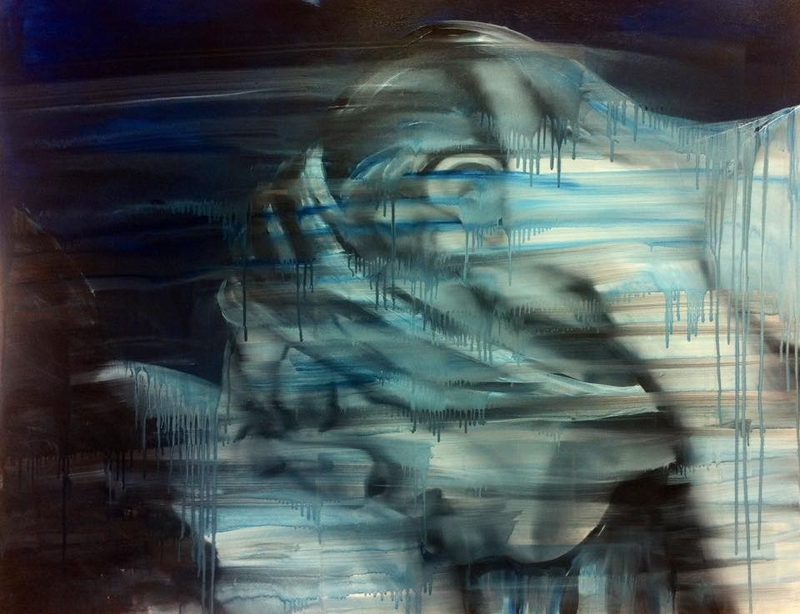 The erotically charged piece expresses passion and lust, not only in the imagery, but also the use of the paint. Painting quickly, in one sitting, allowing the paints and varnish to drip and almost fine its own way.